Critically wounded during a kidnapping, Tony Stark saved himself from danger by building an armored suit. After fighting his way to freedom, Stark continued to develop his new invention, leading to the creation of the first Iron Man suit. First published in 1963, Iron Man has recently experienced a surge in popularity thanks to how he was portrayed on the silver screen by actor Robert Downey, Jr. Quick-witted and snarky, this new version of Iron Man captured the hearts with his story and his humor. Superheroes Direct celebrates all versions of this technologically superior hero by including various incarnations among our selection. Fans of the Invincible Iron Man from the earliest comics will find Iron Man t-shirts and collectible playing cards to enjoy. More modern enthusiasts will find our selection of t-shirts equally appealing, thanks to a variety of graphics drawn from the Marvel Cinematic Universe. Those looking for collectibles will find them as well, thanks to our variety of Iron Man statues, figurines, drinkware, blankets, and decorative accents. Ready your repulsors and fly to the forefront of great hero decor and apparel with any of the Iron Man items from Superheroes Direct. 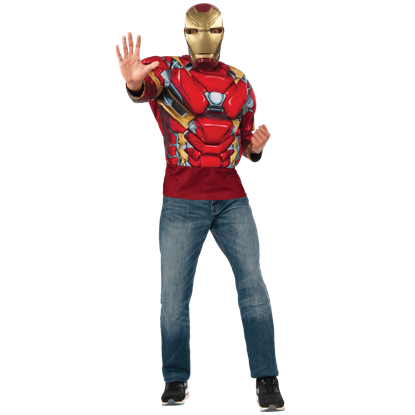 With strategic padding, the Adult Avengers 2 Deluxe Iron Man Costume Top and Mask Set is sure to give its wearer a larger than life superhero physique. 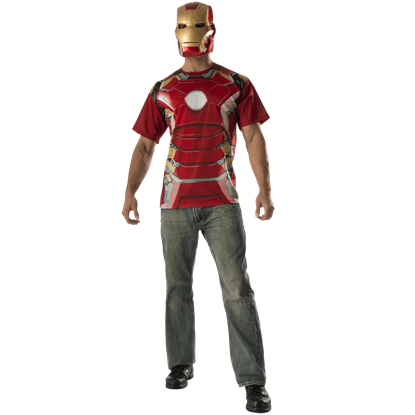 This set includes an Iron Man mask as well as a t-shirt style costume top. 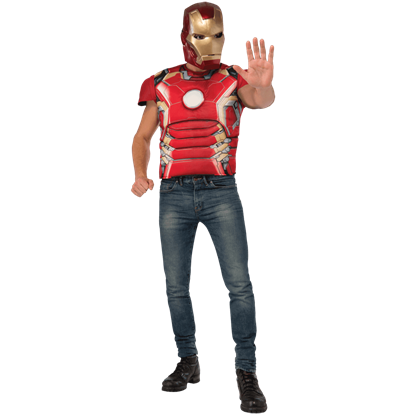 Iron Mans super suit may be a highly complex work of technological genius, but the officially licensed Adult Avengers 2 Iron Man Costume Top and Mask Set allows you to effortlessly dress up as this iconic Avenger with comfort and ease. Always seeking to perfect his Iron Man armour, Tony Stark wears Mark 43, his forty-third version, in Avengers 2 Age of Ultron. Now you too can wear a part of the superheros high tech suit with the Adult Avengers 2 Iron Man Gloves. 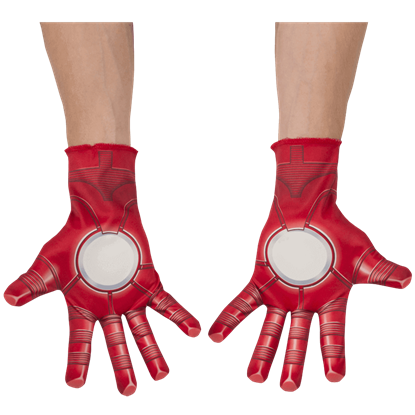 Evoke the might of Tony Starks characteristic repulsor powers when you wear the Adult Civil War Iron Man Gloves. 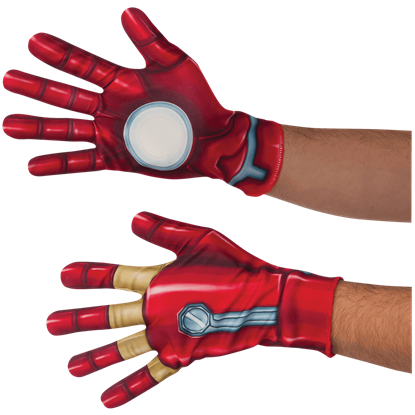 Officially licensed, these costume gloves feature printed details perfect for adding to any Iron Man costume. 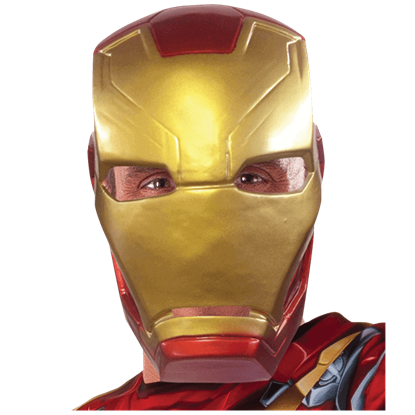 When it comes to effortlessly achieving the look of Marvels billionaire genius Avenger, the Adult Civil War Iron Man Half Mask is the ideal accessory. This easy-to-wear mask is officially licensed and covers the front of the face. 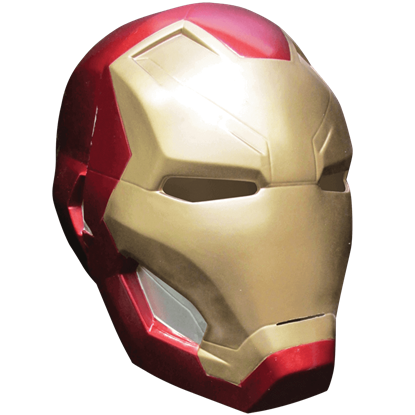 Iron Mans mask has become an iconic symbol of this popular Avenger. 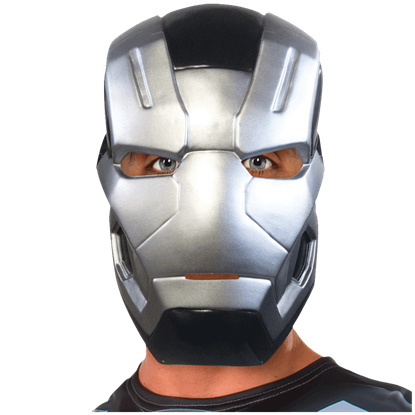 Now you can get this look yourself with the Adult Civil War Iron Man Two Piece Mask, based on Tony Starks superhero look from the Marvel Cinematic Universe. 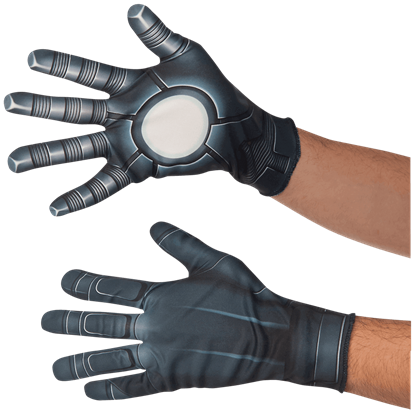 Inspired by War Machines appearance in Captain America Civil War, these officially licensed Adult War Machine Gloves are the perfect costume accessories when it comes to dressing as this battle suit-wearing Marvel superhero. Become War Machine yourself with the Adult Civil War War Machine Half Mask. 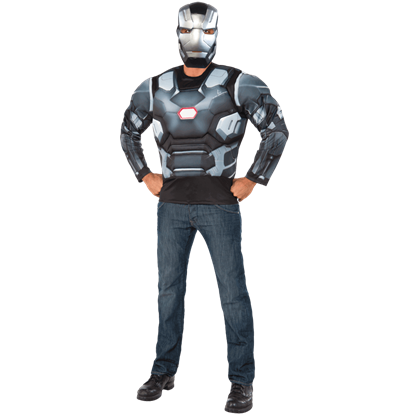 Covering just the front half of the face, this officially licensed costume accessory is based on War Machines look from Captain America Civil War. In Avengers Age of Ultron, Tony Stark designs the Hulkbuster suit in case he has to take down an enraged Incredible Hulk. Now you too can wear this iconic battle suit with the officially licensed Adult Deluxe Hulkbuster Costume. 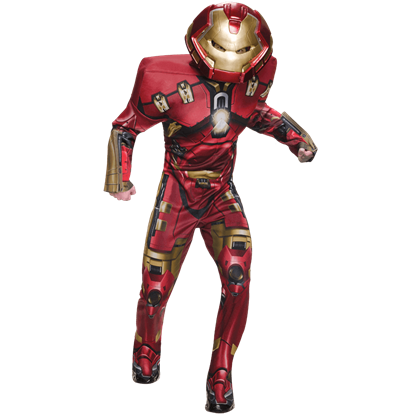 The Iron Man suit certainly adds a bit to Tony Starks physique, and the Adult Deluxe Iron Man Costume Top and Mask Set does the same for its wearer. This sets costume shirt features strategic padding for a super muscular look. Arm yourself with the power of the Hulkbuster, or at least its impressive appearance, when you wear the Adult Hulkbuster Gloves. 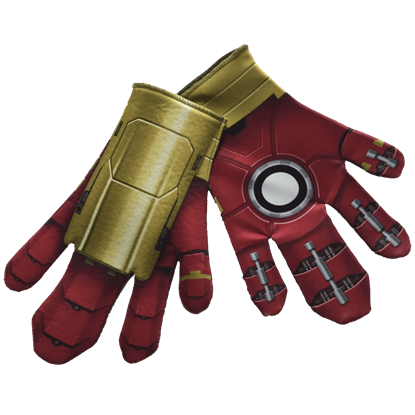 These officially licensed costume accessories are the perfect addition to any Hulkbuster outfit.